Use encyclopedias for short, reliable background information, for short biographies, hard facts, statistics, etc. Great places to start research. Online Library Encyclopedias - Subscribed to by the ACC Library. 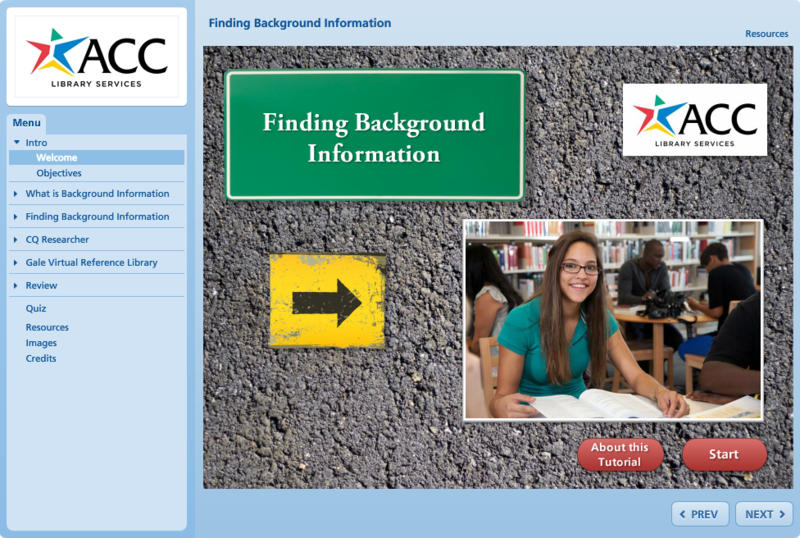 Off-campus access requires login with ACC EID. These generally have higher quality, more reliable information than those on the general web. Gale Virtual Reference Library - Hundreds of separate subject encyclopedias that can be searched all at once. Funk & Wagnall's New Encyclopedia - A basic encyclopedia with clear, short entries. AccessScience - McGraw-Hill online encyclopedia of science and technology. Also links to research updates, multimedia, and more. Van Nostrand's Scientific Encyclopedia - A somewhat less scholarly source than AccessScience (above), but solid information. Encyclopedia of Life Sciences - Biology and related fields. Articles range from introductory to advanced. Van Nostrand's Scientific Encyclopedia - Scientific encyclopedia that addresses every scientific discipline, from anatomy to computer science to physics. 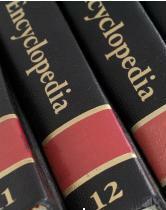 Encyclopedias on the World Wide Web - Accessible to anyone. Be careful in evaluating reliability. Encyclopedia.com - Simultaneously searches over 100 encyclopedias and other reference sources. Look for results from the Columbia Encyclopedia, a good basic source. Wikipedia - The do-it-yourself encyclopedia. Be very careful in double-checking information from this. Strong points are its coverage of obscure and up-to-the-minute topics.